Photo of Alfred McKay, in what I think is a World War I uniform. 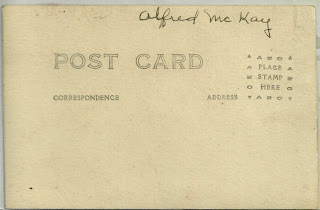 The price label indicates that Albert was a Canadian. 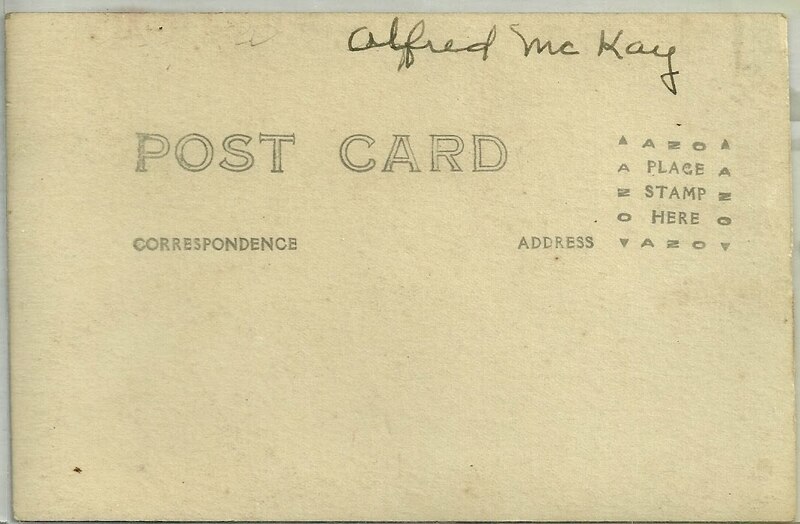 No other identifying data, and there are several possibilities for the name Alfred McKay, judging by the 1901 and 1911 Censuses of Canada. 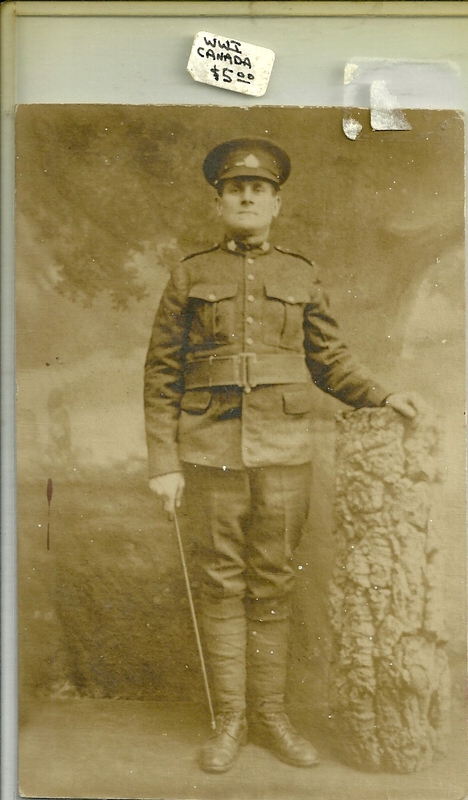 If you recognize Albert from a family album or if you feel that the uniform is not World War I and/or that Albert's uniform is not Canadian, please let me know. Thanks.